Kate Middleton's Royal Princess Cruise Ship: What's It REALLY like? 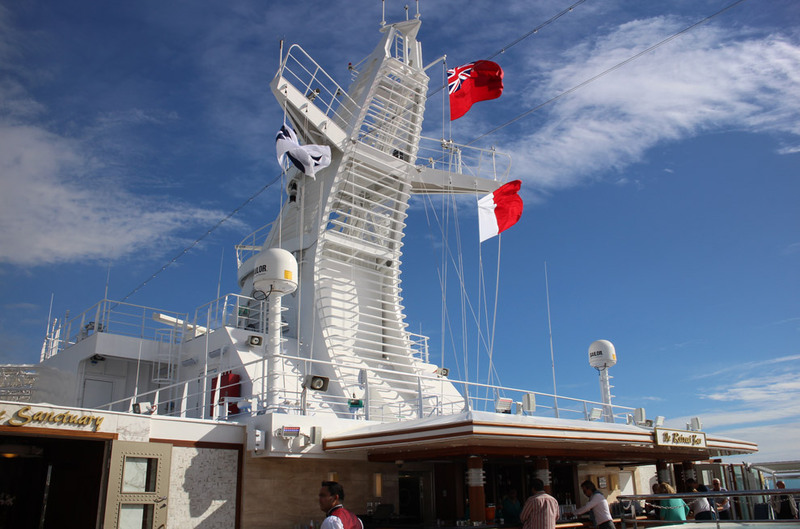 Kate Middleton’s Royal Princess Cruise Ship: What’s It REALLY like? 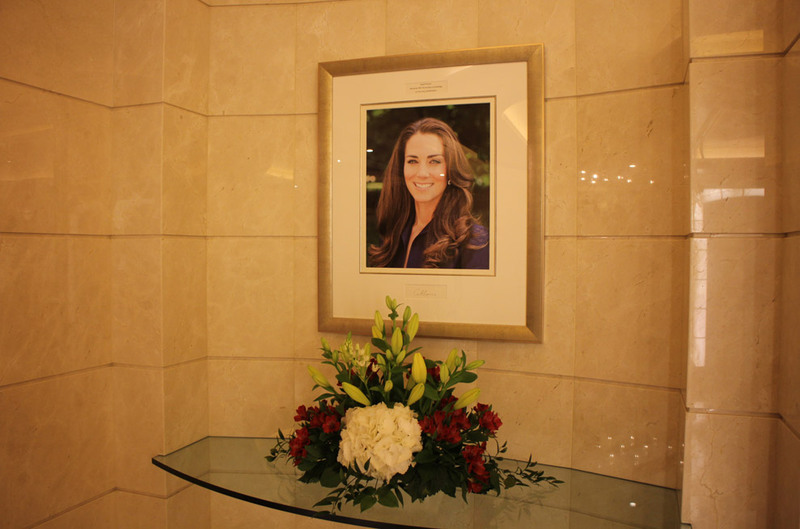 When Kate Middleton signed up to be Godmother of Princess Cruises' new liner, the Royal Princess, we knew it had to be something special. One of just a handful of non-charitable organisations the Duchess has leant her name to, it launched, amid much pomp and ceremony, in Southampton last week. Aside from the ship’s naming ceremony being Kate’s last solo engagement before going on maternity leave, there had been much talk about the soon-to-be launched vessel; the sheer size and scale for one, the activities on board, bars, restaurants, and of course, the spa for another. 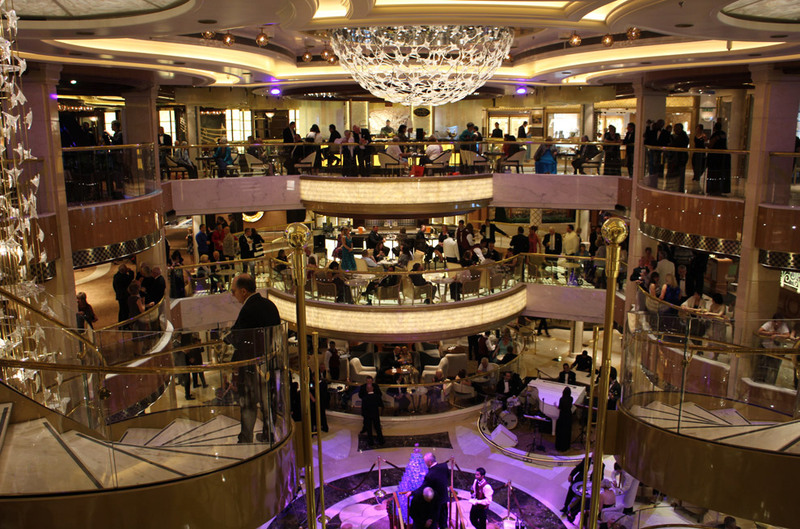 ‘The atrium is 50% bigger than any other at sea,’ read one press release. 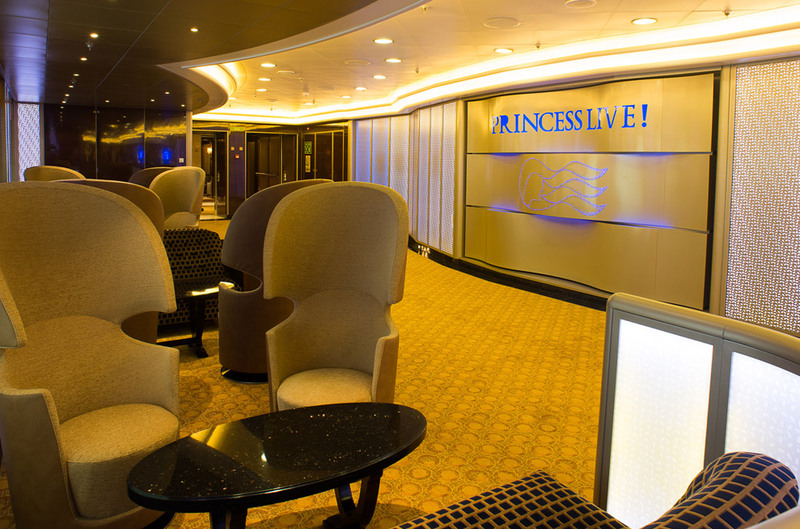 Another spoke of the ship’s 27 bars and restaurants, plus ‘endless’ entertainment opportunities. Which all sound very nice, of course. But what is Kate Middleton’s new cruise liner really like? Absolutely enormous, in fact. Like a giant, glossy hotel that somehow manages to float on the water. It accommodates nearly 3,500 passengers onboard, with – here come the figures! 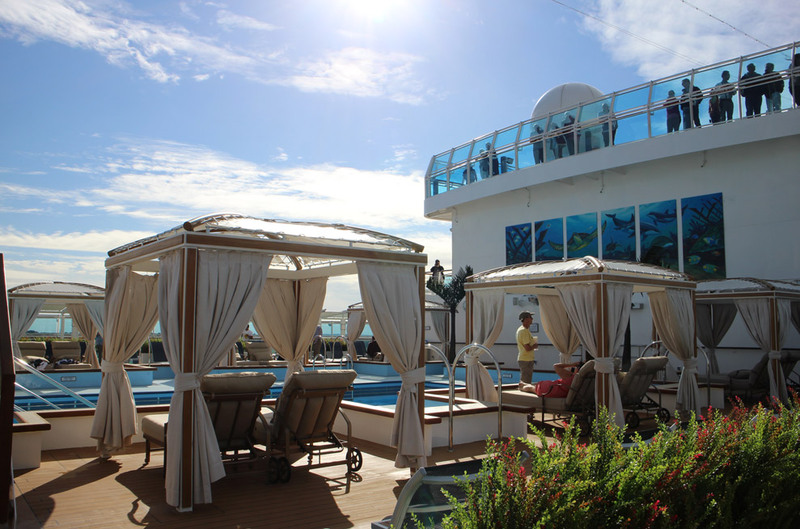 – 19 decks, 1,780 staterooms, and 27 bars and restaurants. It’s a whopping 1083 feet long (that’s longer than the height of the Eiffel tower, apparently) and can also cruise sideways. 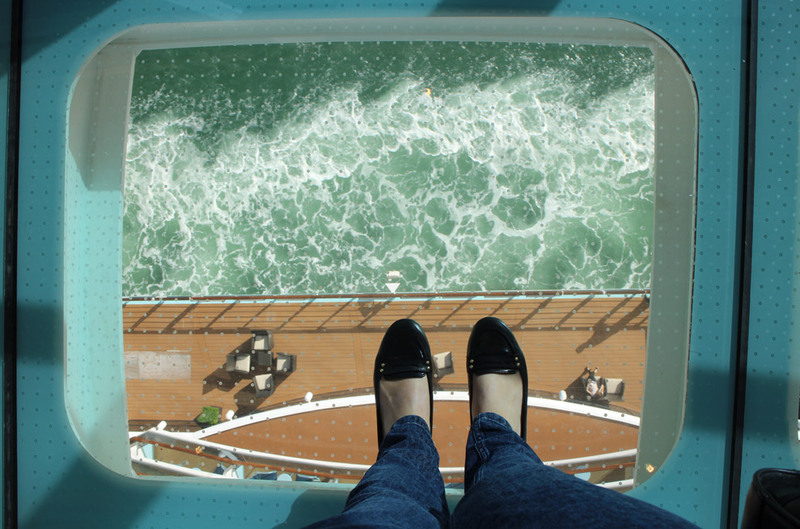 Plus, you can walk right out above the sea if you dare, to try the new glass-bottomed SeaWalk. Wow. 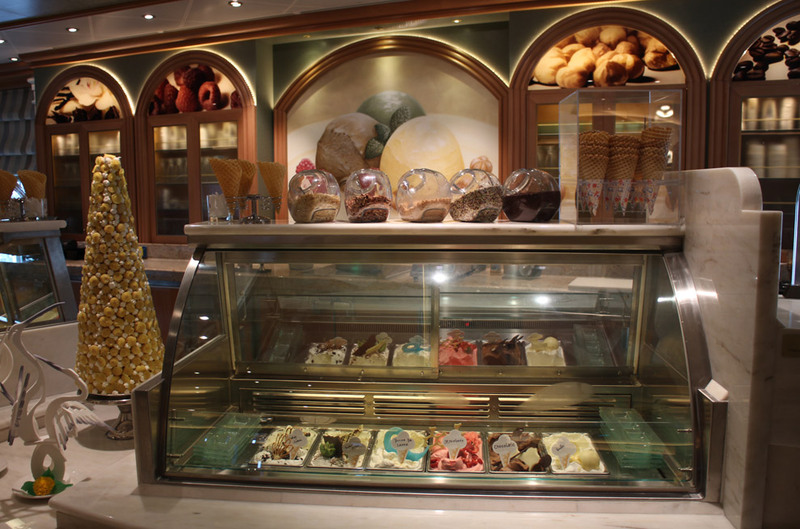 We love ice cream as much as the next person, but the Royal Princess’s gelateria is something else. 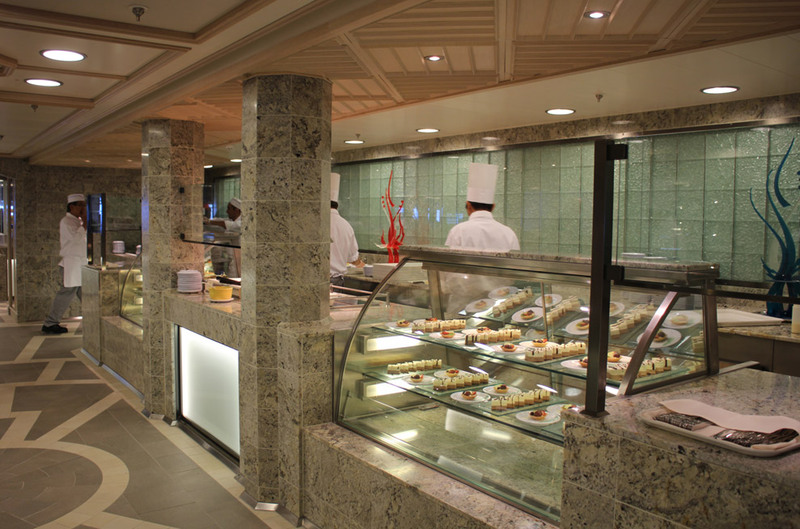 You can feast on anything from homemade cookies and cream to a decadent brownie sundae with hot fudge sauce, all whipped up by the ship’s pastry chef. Yum. And it’s – you guessed it – the largest one at sea. 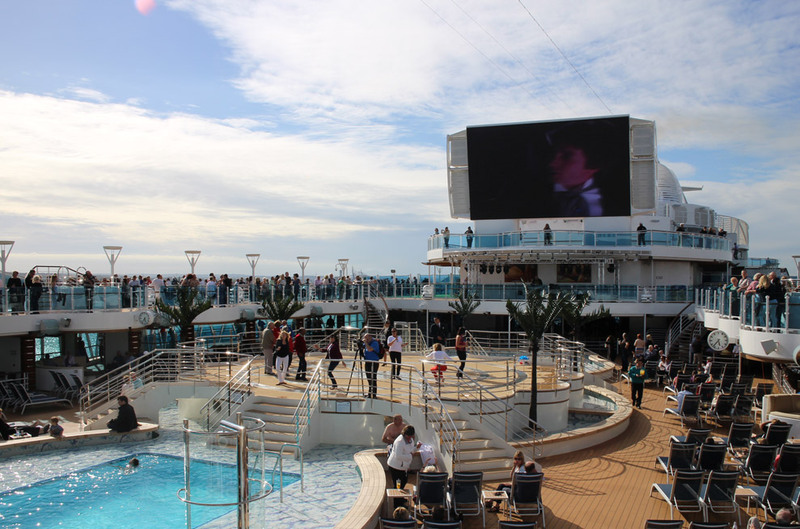 An enormous all-weather screen presides over the top deck, screening the year’s hottest films under the stars, while staff circulate with cocktails or hot chocolate, popcorn, cookies and milk. Brilliant fun. 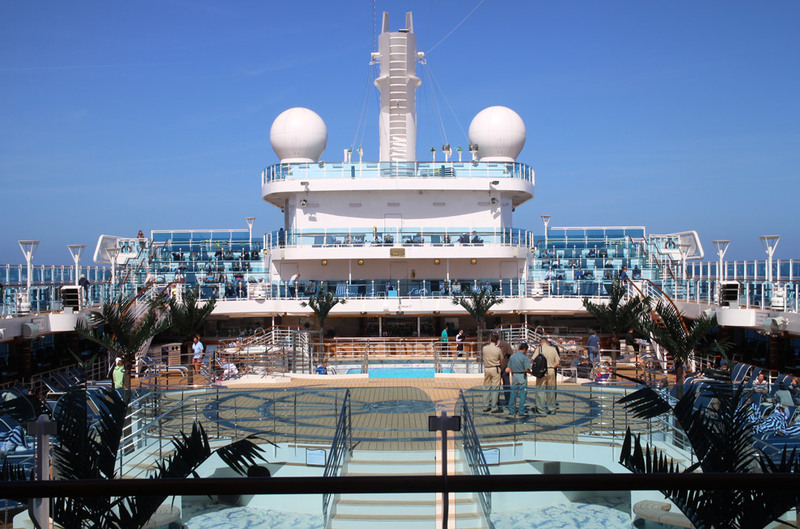 While cruises are often thought of as an activity best saved for later on in life, the average age onboard the Royal Princess was surprisingly young. Not just that, but there is something to occupy all ages – from young families and teens to those looking for a romantic weekend away. We kicked back in the chic Lotus Spa – complete with Hammam, 20 treatment rooms and bubbling water beds – or hung out in the adults-only sanctuary, where private cabanas, short dips the pool and healthy picnics are the order of the day. Bliss. 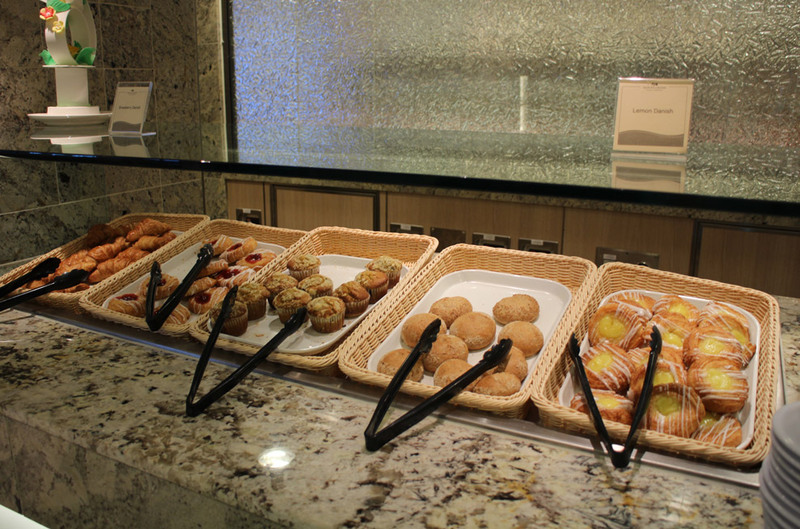 Pastries, cakes, croissants and other delicious goodies are available all day, whipped up by a special team of pastry chefs. An industry first, apparently. What’s not to love? 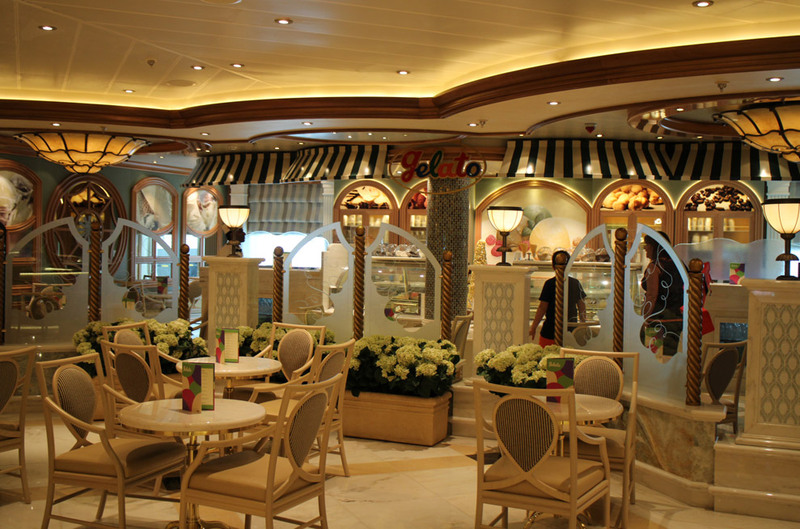 We couldn’t help but feel we’d stumbled onto the set of the (pre-disaster) Titanic when we came across Royal Princess’s beautiful Piazza. Lined with marble, glittering fountains and old-fashioned balconies, it really is a sight to behold. Yes, really. 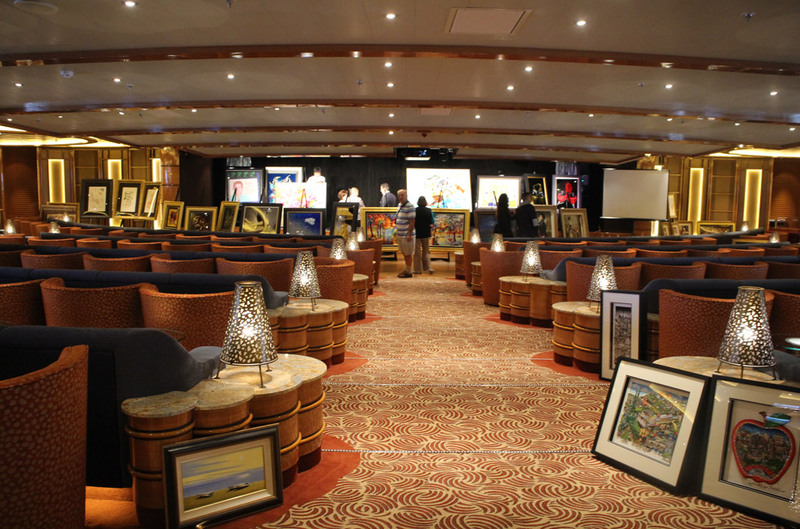 Not just that, but passengers can enjoy their very own 32-stop tour of the 4000 works of art onboard, all using their smartphone or iPad. 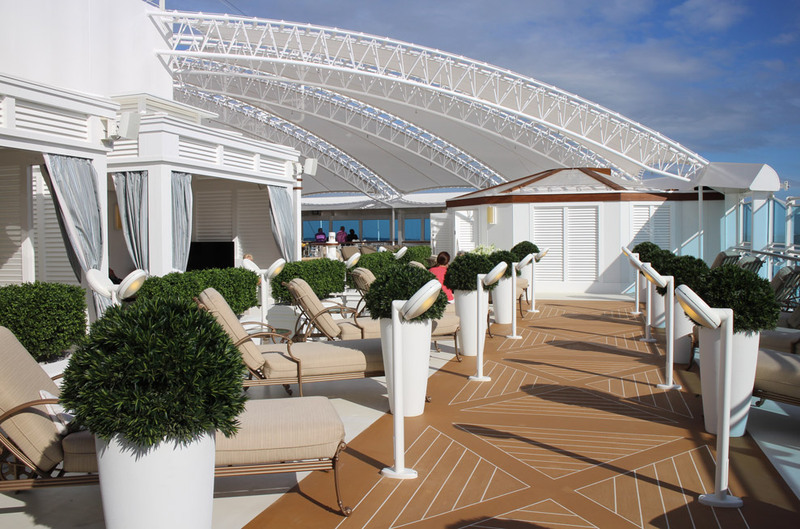 Design bods went to all kinds of lengths to make the Royal Princess their greenest ship ever. The super-efficient hull and propeller design take less energy to drive than ever before, while low energy lighting and a tunnel washer in the laundry reduce usage on board. Very eco-friendly. The Ship’s very own version of Daybreak, the Princess Live! TV studio – complete with audience seating – broadcasts live features on anything from local information and the evening’s schedule to a interviews with the staff and captain. Great for a giggle and staying up to date.